The old man next to us opened his eyes and started blurting out the song that was humming over the speakers on the bus. 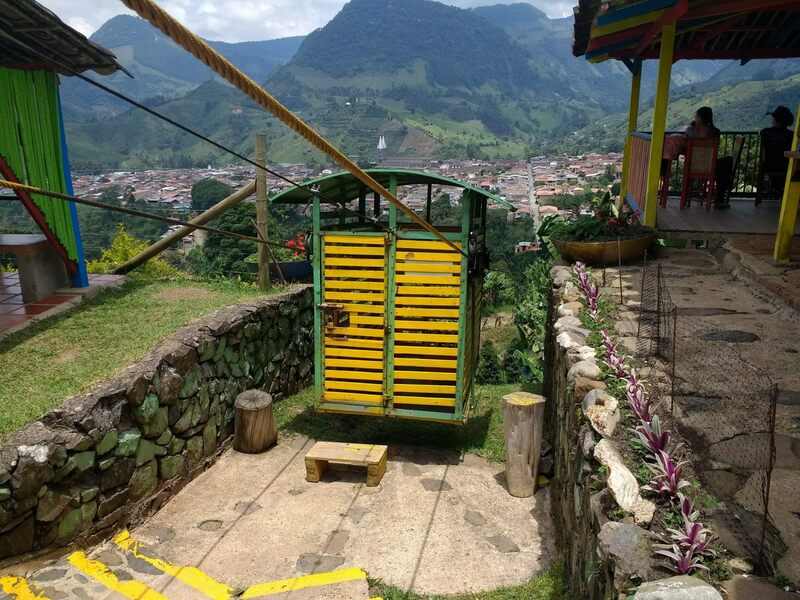 His spontaneous burst into song woke up everyone else in the back of the bus before he yelled for the driver to stop and got off in the town of Andes, just 16 kilometers north of Jardín, which sits in Antioquia, Colombia, some three hours south of the provincial capital of Medellín. 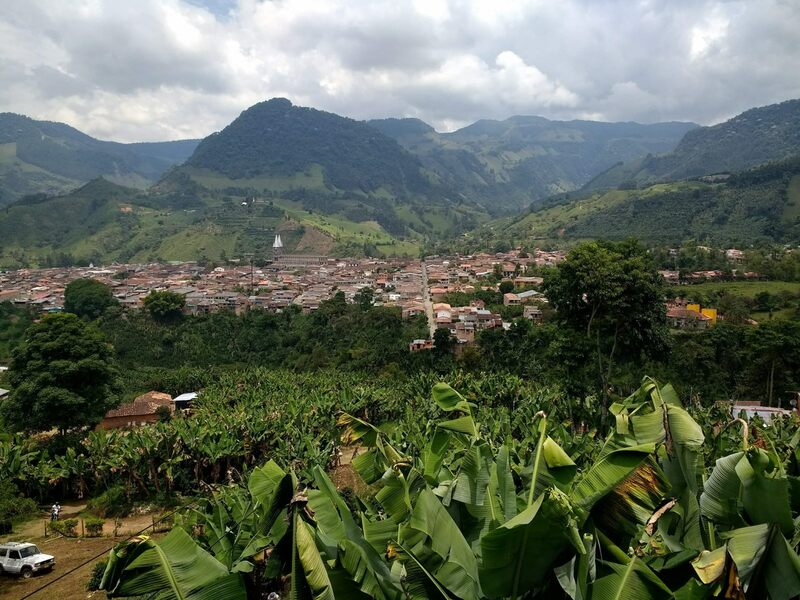 The rude awakening allowed me to see the beautiful lead-up to the valley of Jardín, where mountains circle around the colorful town to make up a grassy battlement. 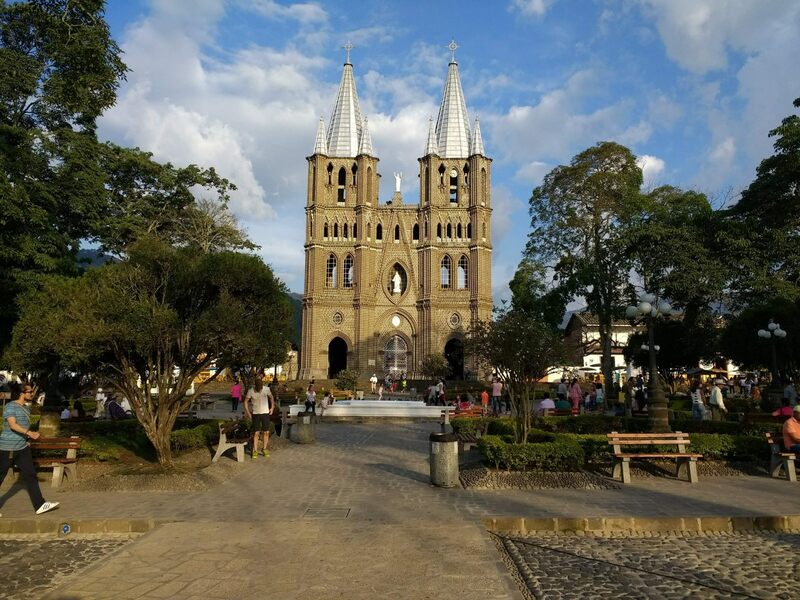 Dominated by an intricate church and an open main plaza like most Colombian pueblos, Jardín is still separated by a distinct aesthetic when it comes to its pastel architecture and dramatic geography that has made it become a go-to tourism destination over the past few years. The 24 hours in Jardín that ensued showed me that, even for a small coffee town, there are enough adventures to fill a week's worth of activity. We arrived by bus from Medellín into town, all very much awake thanks to our crooning stranger. Traveling with another couple, my girlfriend and I had booked a different apartment close to the center plaza. When we went to check in, we knocked and yelled inside for five minutes before a lady across the street came out to tell us that the apartment owner was out picking up her daughter from preschool. Impatient and ready to change out of our clothes, we decided since we hadn't put down a deposit for the hotel that we should just look for a new one. We walked back towards the main plaza and booked a modest hotel room for just 50,000 COP (about $17) for the night, freshened up and went out to grab a needed bite to eat. After meeting back up with our friends in the main plaza, we headed over to Restaurante y Hotel Los Colores to get a typical Colombian lunch. It was both of our friends' first time in Colombia and we had to have them try bandeja paisa to get acquainted with one of the most iconic Anqtiqueño dishes. My buddy Will nearly started an international incident when he tried to mix lemonade with beer to make a shandy concoction that spilled over onto the table. He made up for it by finishing his bandeja paisa , which should always be considered an incredible feat for any Gringo. Knowing it was now too late to book a tour to Jardín's famous caves or start on a long hike, we heard about a river that was just a short walk away to the east of town. After about 10 minutes we came across a tall waterfall trickling down from an incline that makes for perfect photo opportunities. We then got to the river, where the water was ice cold. Further downstream there was a man riding his horse through the water and we noticed a large rock where people were jumping off from and decided to take the leap of faith as well. We were successful in the sense that no one broke their neck diving off the rock, but unsuccessful in the realization that the horse had been doing its business on the water's edge. 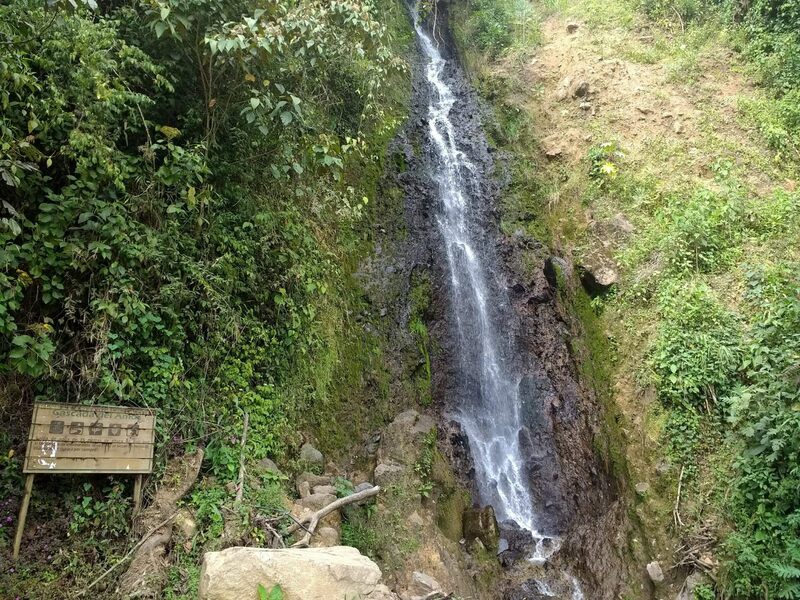 The waterfall right before the river. 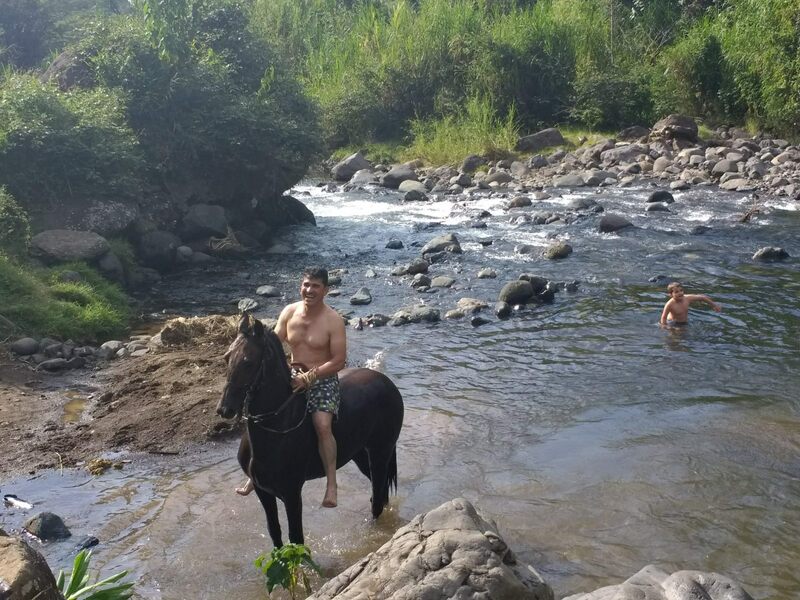 A man rides his horse into the river. After showering up, scrubbing extra hard considering what may have been in the water, we reconvened for dinner at Café Europa for some pizza. The quaint little restaurant only has about five small tables, but if you can get a seat for dinner, the candle-lit ambiance is really worth it. For Colombia, the pizza is also some of the best I've had while living in the country. We split the Francesa (blue cheese, caramelized onions, and pears) and the house namesake Café Europa (pepperoni, onion, garlic, and pesto sauce) alongside a bottle of Malbec. Even though it was a Monday night, there were still a fair amount of people congregating in the main plaza. We took a seat at a café on the southeast corner to drink a beer and marvel at the lit-up crosses hovering over each side of the town. After a short while, we called it a night to prepare for horseback riding early the next morning. One of the town's iconic cable cars, known as garruchas. For some reason, the church bells started ringing and went on for a few solid minutes. While my girlfriend Jacque slept through the whole thing, I stayed awake for a bit before finally checking my phone about 5 a.m. and left to wonder why someone would ring the bells at an uneven hour and before 5 a.m. The bells would then ring two more times before 7 a.m.
After eating breakfast in the main square and finally trying the famous Jardín coffee, we were ready for our horseback tour of the farms where the coffee is made. We first saw our guide don Bernardo escorting five horses down the street. Though I wanted the beige-colored horse, don Bernardo sent for Will to hop on the good-looking caballo because my long legs would need a longer saddle. Unfortunately, my backup option horse, named Paloma (the Spanish word for “Pigeon”), kept trying to bite the other horses and always needed to take the lead. Our partnership started off rocky as Paloma always wanted to sprint ahead of the pack. At our first destination – the coffee house – don Bernardo told us to stop but Paloma kept charging uphill to get to the long grass so she could get a bite to eat. 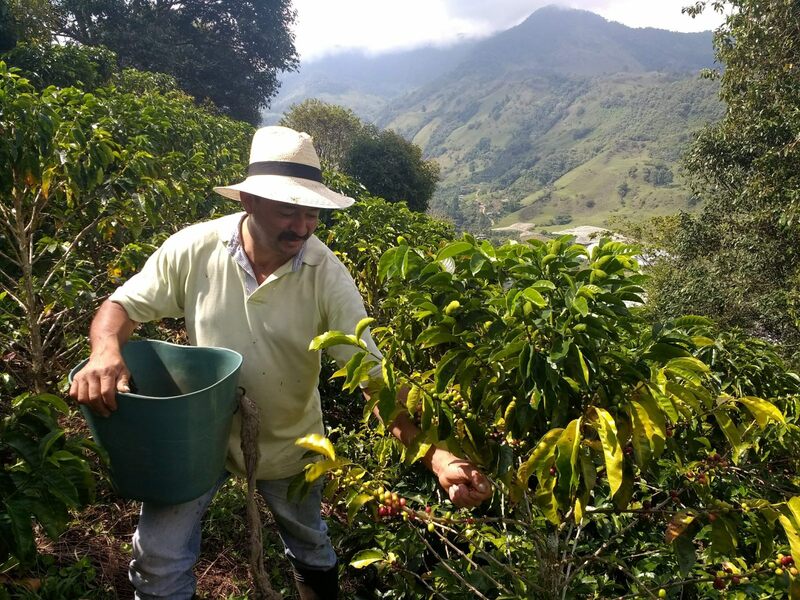 Picking coffee beans in Jardín. We hiked up from the main coffee house through the finca where there were six different coffee lots. The steep hills provide the perfect geography for coffee because they receive so much sun during the day before cooling down at night, giving the bean the proper exercise that makes for a delicious cup of joe. Our coffee-picking guide showed us the exhaustive process that goes from picking the beans to then pulverizing the necessary core out, until they were eventually ready to be roasted. We took turns in roasting the coffee ourselves on an old handheld roaster over the oven before trying a cup of espresso and leaving with some bags of coffee made from this same finca . 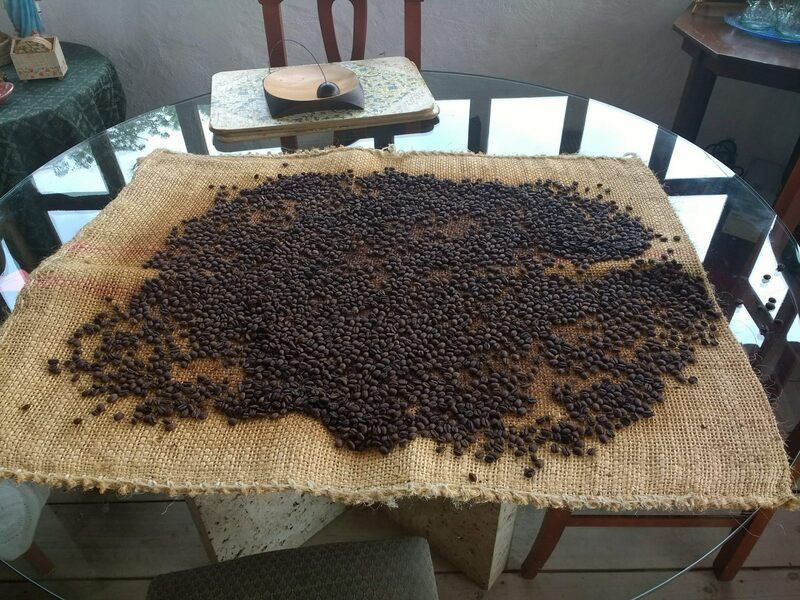 Coffee beans from a Jardín finca all ready after being roasted. We continued on our horseback tour to a mysterious tunnel that don Bernardo had mentioned. Paloma and I started getting along better after I fed her some more grass, although she still tried to bite Jacque's horse anytime it got near here. Don Bernardo waited until then to tell me Paloma is a known diva and that she's known locally as La Brava (or, the "angry one"). When we reached the tunnel, another new guide explained to us that a pair of men took three years in four-hour shifts from 12 a.m. to 4 a.m. each night to build this tunnel. Surely they would never have been bothered by the sporadic, early morning bell ringing in town. It was never really explained why they built the tunnel, but one thing that did not need an explanation was what awaited us inside: Bats. A lot of bats. There were several types of species, including vampire bats, within the tunnel and nearly a thousand bats in all that were living on the roof of the tunnel. Our guide assured us that because bats have sonar and aren't interested in humans, they won't actually touch you. Still, once I looked up to see one flying towards my face at eye level, I kept my head down and prayed for us to get out of the tunnel as soon as possible. "There's one on my back!" I yelled. Instead of assuring me that there was not a bat on my back, our guide just laughed at me. View of Jardín from above. After our tour concluded without getting bit by a bat or bucked by my horse, our time in Jardín was unfortunately up and we had to hop on a bus back to Medellín. In retrospect, we could've used another full day to go spelunking in Jardín's caves (though you need to reserve a day in advance with most tour agencies in town) or paraglide over the town from a nearby mountaintop. This endless list of excursions makes it obvious to see why Jardín has become such an attractive option for international tourists over the past few years. 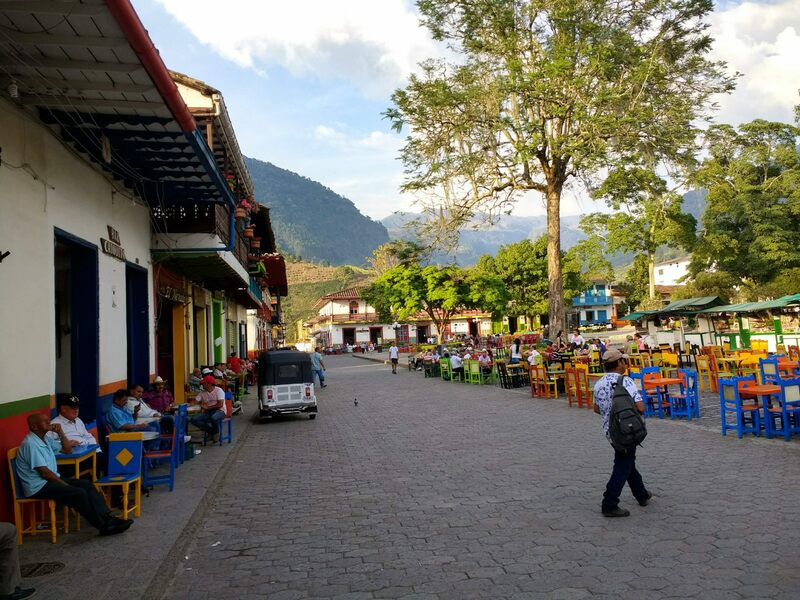 Though it may seem like another small coffee town in Colombia, this stunning destination packs a punch in both substance and style.